Jacksonville, Florida, September 15, 2016	(Newswire.com) - ​​​Hawaii-based property rights attorney and appellate advocate Robert H. Thomas will be speaking at the 13th Annual Brigham-Kanner Property Rights Conference in The Netherlands. Mr. Thomas is a Director with Damon Key Leong Kupchak Hastert, a Honolulu-based law firm serving the Hawaii business community for over 50 years. His litigation and appellate practice includes representing property owners in eminent domain, inverse condemnation and land use matters as well as voting rights and water rights cases. 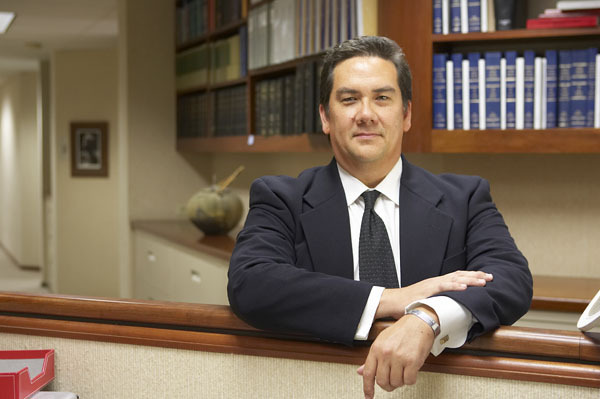 He is also the Hawaii member of the Owners' Counsel of America, a national network of leading eminent domain lawyers dedicated to representing private property owners in condemnation and property rights proceedings. Thomas frequently speaks on land use and eminent domain issues in Hawaii and nationwide and regularly publishes articles on topics relating to property rights, land use and takings law. He is the past Chair Eminent Domain Law Committee of the American Bar Association’s Section on State & Local Government Law, and the Section’s Chair-Elect. He is also Co-Chair of the American Law Institute’s annual Eminent Domain and Land Valuation Litigation continuing legal education Conference. He is the Managing Attorney for the Pacific Legal Foundation Hawaii Center, a non-profit dedicated to protecting property rights and individual liberties. Additionally, his blog inversecondemnation.com continues to be one of the most widely read blogs on eminent domain and land use law. The Brigham-Kanner Property Rights Conference is sponsored by the William & Mary Law School Property Rights Project. The Property Rights Project seeks to promote the exchange of ideas through lectures, a journal, and the annual conference, which is renowned for its outstanding panels featuring members of the bench, bar, and academia. Each year, the Property Rights Project recognizes the outstanding contributions of a single individual to the field of property rights scholarship and awards the Brigham-Kanner Property Rights Prize. The 2016 Prize will be awarded to Peruvian economist Hernando de Soto, President of the Institute of Liberty and Democracy (ILD), an advocate for the formal recognition of private property ownership as a solution to global poverty. During the upcoming three-day symposium, Thomas will join legal scholars and practicing attorneys on two panels. In the first panel, he and fellow panelists will examine the relationship of property to individual liberty and to the political structure of nations. The second panel will explore international perspectives relating to property rights and intangible assets, such as intellectual property and non-material resources. The thirteenth annual Brigham-Kanner Property Right Conference will take place October 19-21, 2016 at The Peace Palace in The Hague, The Netherlands. The Owners’ Counsel of America (OCA) is a nationwide network of experienced eminent domain attorneys dedicated to protecting the rights of private property owners large and small, locally and nationally, and to advancing the cause of property rights. The lawyers affiliated with OCA are in private practice in nearly every state and represent property owners against federal, state, and local governments, utilities, redevelopment authorities and other entities that may be armed with eminent domain power. For more information or to locate an eminent domain lawyer in your state, please visit www.ownerscounsel.com.